There are many steps to take when creating change, including research and discussion. 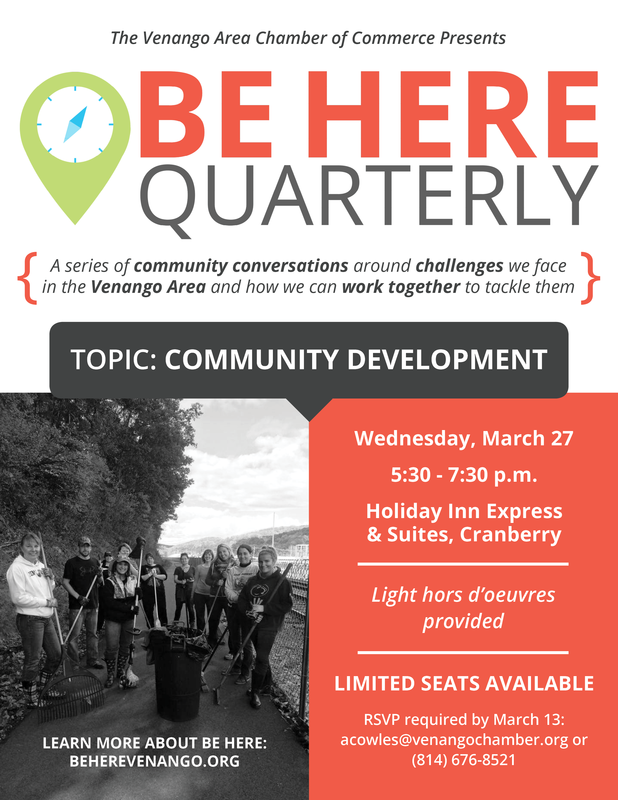 Since the launch of the Be Here initiative, many topics have come up over and over again in conversation, such as community pride and development, workforce development, education, young professionals, economic development, and quality of life. We’re excited to announce the creation of Be Here Quarterly—a series of discussions around these topics and how we can work together to create change and come up with solutions for challenges in our area. We plan to host these discussions once a quarter as a way to gather the community together. They will vary in size, format, and themes, and we need your help in deciding what will work best. RSVP required by March 13 and limited seats are available.